Hanoi (VNA) – The International Religious Freedom Report for 2016 recently released by the US Department of State again does not reflect correctly the real religion and belief situation in Vietnam as well as the country’s achievements in ensuring the right to freedom of religion. Although the report acknowledges progress Vietnam has made in ensuring the right to freedom of religion, it still sticks to the out-of-date viewpoint and one-sided and subjective assessments about Vietnam’s religion situation. The right to freedom of religion and belief is clearly stipulated in Vietnam’s Constitution and safeguarded by its laws. The legal foundation on religion and belief freedom in Vietnam has also developed remarkably. Together with the 2013 Constitution, the 2004 Ordinance No.21 on belief and region and the 2012 Decree No.92 on the enforcement of Ordinance No.21, the National Assembly passed a new Law on Belief and Religion in November 2016 which is scheduled to officially take effect on January 1, 2018. 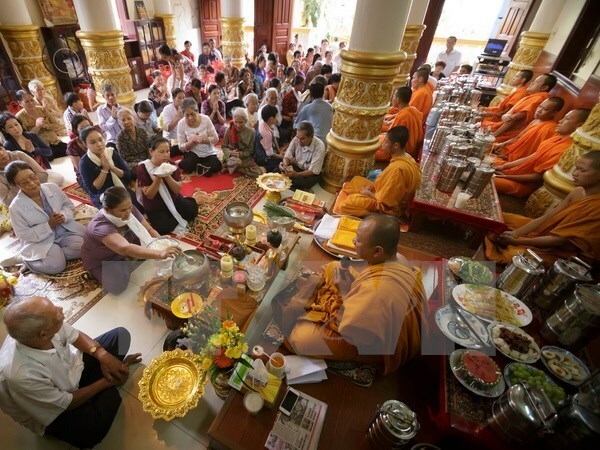 To date, Vietnam has recognised and granted licences to 39 religious organisations with over 24 million followers, or 27 percent of the country’s population. The country has nearly 53,000 religious dignitaries, and 28,000 worshipping facilities. All religious practice activities have been held normally, without any obstruction, while religions’ festivals have been organised in accordance with religious norms and attracted the participation of many followers. In addition, the training of dignitaries and monks has been maintained and expanded. Many dignitaries and monks have been sent to receive training in the US, France, Italy and India. Religious representatives have also attended religious and belief dialogues and discussions at major international forums such as the Asia-Europe Meeting (ASEM) and the Association of Southeast Asian Nations (ASEAN). Vietnam established its relations with the Vatican in 1989, with the latter having assigned a non-permanent representative in Vietnam since 2011. International religion and human rights organisations have visited and made fact-finding tours to Vietnam many times, and then acknowledged the country’s efforts to ensure human rights, including the right to freedom of religion and belief. Notably, Vietnam was elected to the United Nations Human Rights Council in the 2014-2016 tenure with the highest votes, reflecting the world’s acknowledgement of the country’s policies and efforts in ensuring human rights, including the right to freedom of religion and belief. The Vietnamese Party and State always respect the right to freedom of religion and belief of all citizens, but do not allow any one to abuse the freedom of belief and religion or take advantage of a belief or religion in order to violate the law. Vietnam is determined to fight and prevent all activities that violate the law, take advantage of a religion or belief to cause social disorders, disunite the great national unity, undermine the Party and State, hurt the nation’s interests and hinder its development and international integration. Like all other nations around the world, including the US, the Vietnamese State does not allow any religions to be outside the law. In the US itself, many states clearly stipulate in their laws anti-government acts along with corresponding punishment. Any individuals or organisations who assemble forces illegally or incite terrorism and violence in the name of religion are punished as regulated by US law.